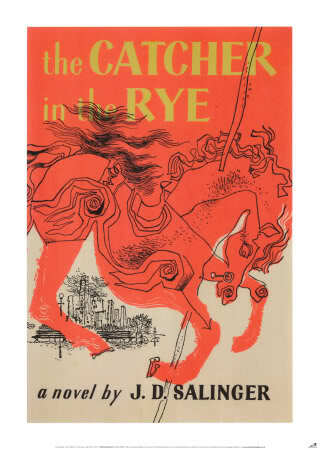 The Catcher in the Rye, one of my favorite books. Much funnier than you might think, and astute. Just a quick non-food post today, then right back to the eats. Seriously, if you haven’t ever read Catcher, or haven’t read it in years, please do read it. It’s astute, full of irony, and hilarious. Holden Caulfield is one of literature’s most memorable anti-heroes. No doubt Salinger broke the mold and wasn’t afraid to live life on his own terms. Pari is a student of literature at a university in Tehran. She is a confident yet angry girl who is projecting her inner struggle by outwards aggression towards her tutor, her fiancé and her brother and she is on the verge of a nervous breakdown or a mental suicide. An old sufi book by the name of “solook” helps take her on a journey to find herself and discover who she really is. Her brother helps her accomplish this goal. The Iranian film Pari was loosely based on the J.D. Salinger novel Franny and Zooey. In 1998, Salinger had a New York City screening of the film cancelled, due to copyright concerns. The film, directed by Dariush Mehrjui, was set for a screening at Lincoln Center. WhenSalinger got wind of this news, he sicced his lawyers on the Film Society of Lincoln Center, and the screening was canceled. A New York Times article gives details. 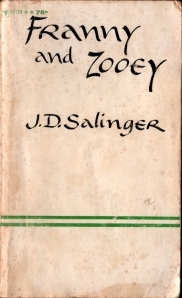 “. . .the film was indeed ”loosely based” on ”Franny and Zooey,” but he added that he had written to Mr. Salinger seeking permission to use the material before making the movie. ”I wrote him a letter indicating that I was just a small filmmaker doing an adaptation,” he said. ”But I did not hear back, so I just continued and made it,” he said. So now I’m curious. I’ve been meaning to read Franny and Zooey anyways. Now it looks like I have to hunt down a copy of Pari for viewing as well. Netflix doesn’t carry it. If anyone has any leads, or has ever seen Pari, please let me know. Indeed, “Cather in the rye” is canonical of course. A corner storne of literature, that might have sparked as many literary “awakenings” as Goethes “Die Leiden des junge Werthers”. I think Salinger fought rather bravely against all medial reproductions of his work, even at 91, right before his death. Hi there, thanks for stopping by. Yes, Salinger did put up quite a fight. Definitely a man who lived on his own terms and whose work inspired people around the world. I will keep it in mind next time I go to Europe or Beirut. I ma find it there. It’s interesting that you uncovered this connection. Salinger was somewhat of a recluse, therefore it is not surprising he had the screening cancelled. I also am a fan of Iranian cinema. When I lived in Montreal there were many screenings there due to the large Persian population. It is an interesting connection, isn’t it? What’s your favorite Iranian movie? I love “Marmulak” aka “The Lizard.” Hilarious, poignant, and smart. “Leila” is another good one. Makes me cry every time. I’m lucky living in NYC–frequent screenings of films from Iran and pretty much any other part of the world.